If you want to make it to the top, you can’t just kick back and relax after launching your website. You should keep optimizing it and growing. One of the routines that you can’t discard is website audit. In the past, this procedure used to be very time-consuming. The website audit professional or team had to manually check hundreds of pages. Fortunately, now you can find plenty of automated website audit tools on the Internet. Today, we invite you to meet 20 best website audit tools for improving your website’s visibility in search engines. Before we start, we want to forewarn you that there is no chance you find a one-size-fits-all solution. Each of the best website audit tools has its own peculiarities, draws, and limitations. Therefore, you’re bound to benefit from checking out all of them and sticking to 2 – 3 tools for checkups. So, let see best website audit tools on the list for 2017. 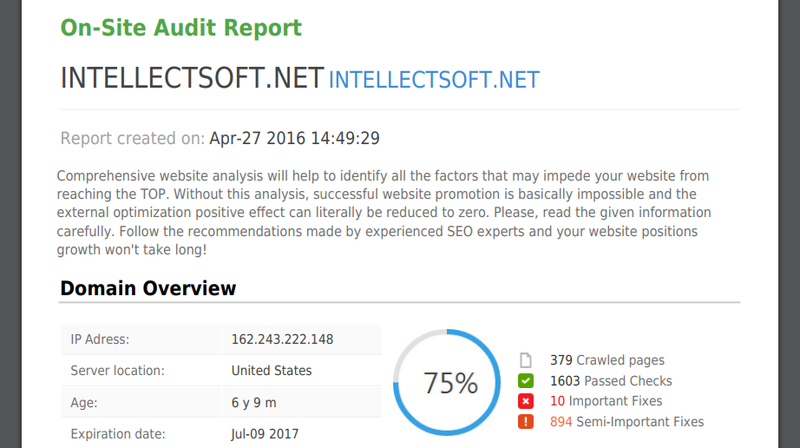 SE Ranking is considered one of the best website audit tools for a number of reasons. First of all, their audit algorithms are next to being impeccable. With them, you’ll get an in-depth report that demonstrates all the weak points of your website from SEO standpoint. You can download your reports in PDF format to come back to solving issues later on or to delegate tasks to your team. Pages Analysis: shows possible errors that Google robots can meet crawling your website. Suggestions on resolving the errors come handy. Meta Analysis: checks whether your titles and meta descriptions meet the requirements of search engines. Content Analysis: gives insights into your content uniqueness and structure. Checks for content length, duplicate content, use of keywords, etc. 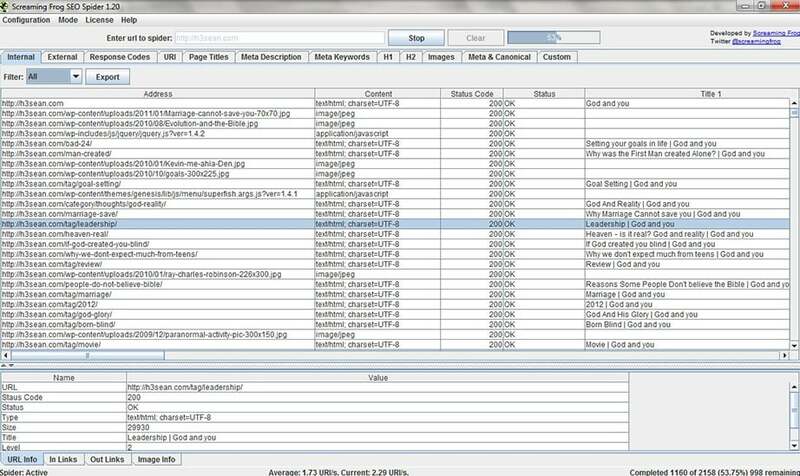 Images Analysis: evaluates the quality of your imagery, checking alt texts and image titles for duplicates, keyword stuffing and items that are too long. Link Analysis: tracks the number of external links, helps you avoid links to unsolicited websites, controls usage of ‘nofollow’ tag, etc. Mobile and Desktop Optimization: gives suggestions on minifying the code, making sure that the website renders in different viewports correctly, etc. Usability and Technology Suggestions: insights into website speed, W3C HTML Validation, etc. Fortunately, SE Ranking team does not ask you to pay exuberant prices for their all-encompassing reports. If you plan to monitor up to 5 websites with no more than 1,000 backlinks, you’ll be pleased with the smallest Personal Plan for $7/month (billed annually). On the other hand, if you represent a business entity, go for a larger Optimum plan for $39/month. Professional SEO specialists will find the Plus and Enterprise all-inclusive plans handy. What’s more, you don’t have to pay for trying SE Ranking out. Check how it works for you free with 14-days trial. No credit card details are required to sign up for it, so you won’t be charged automatically if you decide you don’t like it. All in all, SE Ranking is a comprehensive website audit solution, that’s definitely worth your attention. 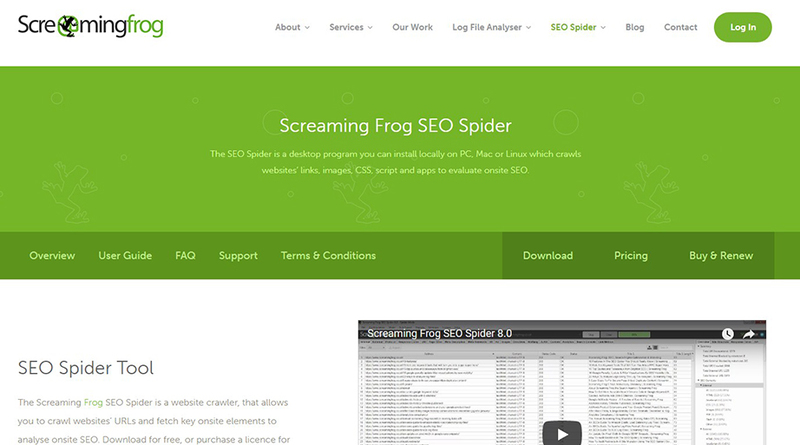 Screaming Frog is a popular desktop application for evaluating on-site SEO. First of all, it lets you discover broken links that are the cause of 404 errors or server errors. You can export the errors and the URLs in bulk to fix them later on or send the list to a developer. Secondly, Screaming Frog will analyze your website’s page titles and metadata. If Screaming Frog finds any items that are too long/short, missing or duplicate, you’ll be the first one to learn about them. Thirdly, if you’re migrating a website, you’ll get a report on redirects. Moreover, you’ll be able to track redirect chains and loops and download the list of URLs that require maintenance. Next, with this tool, you can extract data with XPath, CSS Path or regex. So, you’ll be able to extract social media tags, SKUs, prices, etc. in no time. Moreover, the tool lets you create XML sitemaps with different configurable options. Consequently, you’ll be able to create exactly the one you need. Last but not least, reviewing Robots and Directives lets you find out the URLs that were blocked by robot directives. Fortunately, Screaming Frog software has its Lite Version that you can use as long as you’re fine with crawling up to 500 URLs. 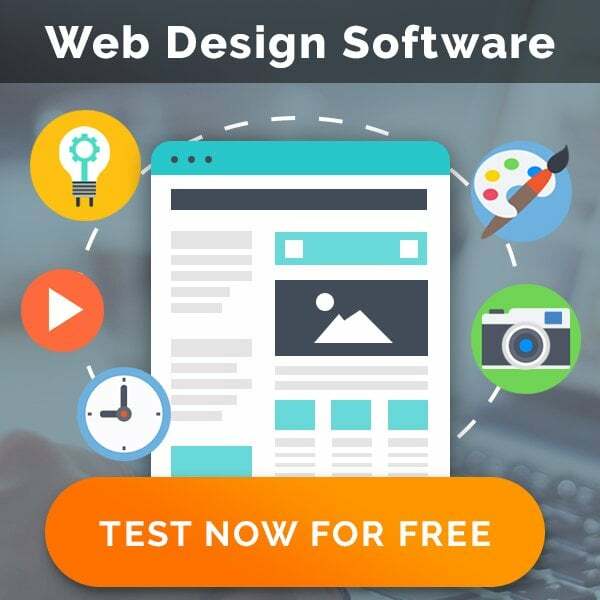 In this case all the basic functionality of the software will be free for you. If you’re not fine with this limit, the Paid Version frees you from functional limitations for $149 per year. SEOptimer made it to top 3 of our best website audit tools list for the reason that it’s the best free tool you can find. To run the audit, you just have to enter the URL that you want to audit on the SEOptimer’s home page. In a moment, your report will open in the new tab. The report gives the overall score of your website that’s based on such aspects as SEO, Usability, Performance, Social and Security. Below, come the scores that you website gained for each aspect and many insightful stats. The tab that you’ll find the most useful is called ‘Recommendations’. You’ll see a number of possible improvements with the priority rates from Low to High. Moreover, you can toggle recommendations and choose the ones you want to address first. All in all, if you’re searching for a free solution that does not limit the number of URLs you audit, you’ll find SEOptimer great for completing this task. However, the analysis it provides is less in-depth than the ones provided by paid tools. SEO SiteCheckup is one of the best website audit tools that gives you detailed stats. The tool is not free, hover you can run a single checkup right after landing on their website. Then, you can sing up for their trial (14 days) free of charge. SEO SiteCheckup breaks your report down in six categories. Thanks to General SEO tab, you’ll learn insightful data on keyword usage on your website, broken links, inline CSS, headings optimization, etc. The Speed tab will show you different aspects of performance optimization. 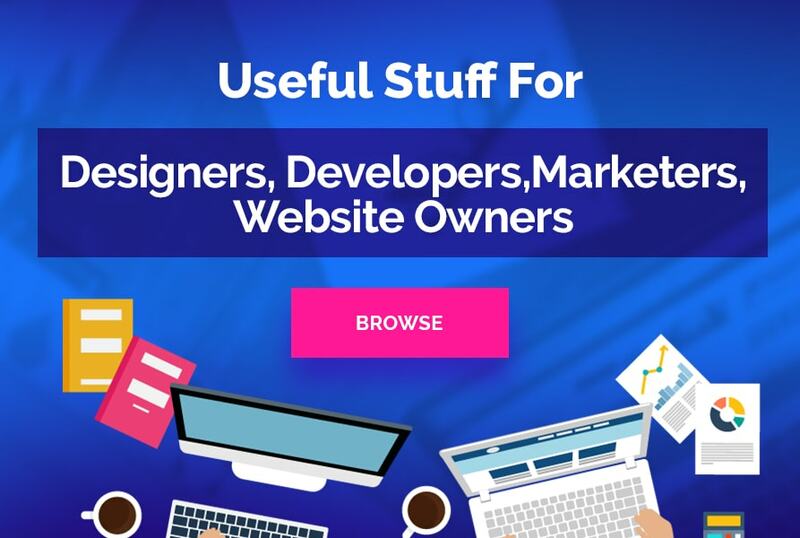 It has 14 aspects covered, which give you multiple ideas on making your website lightning-fast. Next, the Server and Security tab has only 6 test. Hopefully, your website passes them all as you don’t want to be hacked, do you? The Mobile Usability tab is followed by Advanced SEO, the recommendations of which will please even the most advanced SEO experts. As you can see, SEO SiteCheckup is a great advanced tool with lots of explanations and actionable tips. If you deem its worth paying for it, you’ve got 3 plans to choose from. So, for the Basic one ($25/month), you can run up to 300 checkups for 3 websites. Webmaster Plan ($40/month) gives you unlimited checkups for 5 websites. The largest one (Professional, $80/month) provides you with unlimited checkups for 15 websites. Find the plan that does not exceed your budget and you’ll boost your SEO manifold. 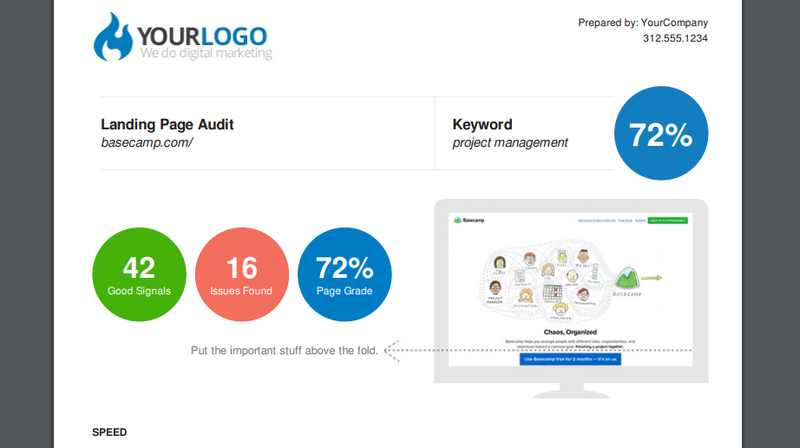 Website Grader is a popular free solution by HubSpot. It brings its comprehensive reports since 2007 and have recently been updated. To see the report, you just have to enter the URL of your site and your e-mail. From the report, you’ll learn how to optimize your website from different standpoints. First of all, you’ll learn how well your website performs and how to make it even faster. The ‘Performance’ section accounts for page size and speed, the number of HTTP requests your website makes, compression used. It also indicates whether there are any redirects that slow down your website. Secondly, you’ll see how mobile-friendly your website is. Thirdly, you’ll learn whether your page titles, meta descriptions, headlines and site map match the preferences of Google. Last but not least, you’ll see a list of recommendations for improving your overall audit score. They indicate what and in what way you should tweak to take it up a notch. All in all, Website Grader is one of the best website audit tools as it provides you with comprehensive stats, explanations and well-delivered recommendations. One more great tool in our list, MySiteAuditor gives you the much-needed nine-page SEO audit report. The advantage of this tool is that it’s designed to analyze a single website page rather than the whole website. As a result, you get more in-depth advice for every page you analyze. Reviewing your nine-page report, you’ll learn how well your page is doing in terms of speed. Moreover, you’ll see whether it’s URL, title tag, description tag and images are OK. You’ll also get the comprehensive copy and code analysis that highlights possible issues. Social Analysis helps you discover the ways to promote your page in social networks you’re missing on. Next, Mobile Analysis shows how to make your page more mobile-friendly and boost your site’s position in mobile Google search results. MySiteAuditor invites you to take advantage of their 10-day free trial. After ten days expire, you can go either for Basic or for Pro plan. In general, the Basic Plan lets you run an unlimited number of reports for $39/month. What’s more, MySiteAuditor also offers you to embed this tool to your website and bring its exciting functionality to your prospective clients. This will cost you $79/month (Pro Plan) as offering comprehensive SEO-reports on you website proves to be an effective link building strategy. So, MySiteAuditor proves to be a comprehensive SEO audit tool for optimizing pages of your website one by one. What’s more, its Pro Version may be a true discovery for you, if you provide SEO-optimization services and want to generate more leads. SEO Report Card is a free tool that lets you compare your website against one of your competitors and see who scores higher. To get the report, you should provide your e-mail, your website URL, the competitor’s URL and the keyword that your website should rank for. 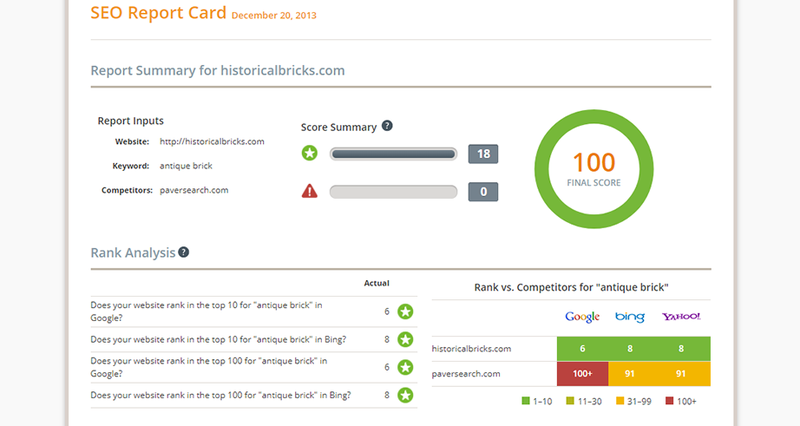 Let’s see what you’ll find in your SEO Report Card. First of all, you’ll learn who scores higher for the given keyword in Google, Bing and Yahoo. Moreover, you’ll see who has more backlinks, whose website loads quicker, whose domain is stronger, etc. For each comparison, the Card builds a diagram on the right. So, the report you’ll find on your SEO Report Card is not very detailed but it juxtaposes you and your competitor. As a result, you’ll know which aspects of SEO-optimization you should address to beat the competition. If this is what you need, take advantage of this free SEO audit tool. The best website audit tools that we’ve covered so far are the all-encompassing tools that cover different aspects of website optimization. In addition to this, there are great tools that specialize on a single aspect of audit. So, let us bring you the best tools in each category. Is there any outdated content or stats on your website? Does the content on your website stick to the logical structure? Have you published the content in the right place on your website? Do you provide the appropriate amount of internals links? Are there any 404 errors on your website? To conclude, there’s a handful of best website audit tools that cover crucial aspects of SEO audit. To get an unbiased full audit of your website, choose a couple of tools that appeal to you and boost your website’s SEO by following their recommendations. We hope that with these tools you’ll be able to determine and purge all the SEO imperfections that are tormenting you. We wish you good luck in reaching new levels of online success! For more SEO audit tools, learn about 13 on-page SEO audit tools to improve your site visibility. Wrapping up, we still have to notice that no machine-generated report can beat a manual analysis by experienced SEO professionals. So, if you want your SEO-recommendations to be more in-depth, custom-tailored and detailed, you can order a comprehensive Search Engine Optimization Audit with an actionable roadmap by MotoCMS team. Are there any website audit tools that you consider the best? Tell us about them in the Comments section below.